We work an appointment system for our customers so that we can give a personal, friendly service to each and everyone. Contact us to make your appointment. We are very proud to be a Neff 5* Master Partner as well as being a Fisher & Paykel Centre of Distinction, not only does this mean that we have the very latest appliances on display but virtually all of them are wired up & working so that we can demonstrate how they work. We have over 60 different appliances on display so if we don't have the model you are looking for we will have something very close & will be able to show you the differences. Our showrooms are setup to display everything you would ever need in a kitchen from cutlery trays through to range cookers. We have a wide range of products to suit one bedroom town houses right up to exquisite country mansions. We have traditional "in-frame" Oak for the country cottage look all the way through to the ultra modern "hi-gloss handle-less" range, there are more than 50 different colours to choose from, hundreds of different handles & almost 200 different worktops, we also have a range of doors designed to be "in stock & in budget" so can turn a full kitchen around in a matter of days if needed. We can also offer a bespoke made to measure service for kitchens, bedrooms & offices with hundreds of different colours to choose from. Seeing is believing, thats why we have so much on display for you to see & touch in a relaxed friendly environment. 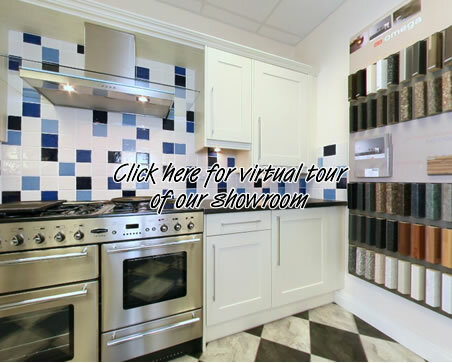 Our showrooms are packed full of gadgets & space saving solutions which is why we work an appointment system so that we can show you the BMS difference when you visit.